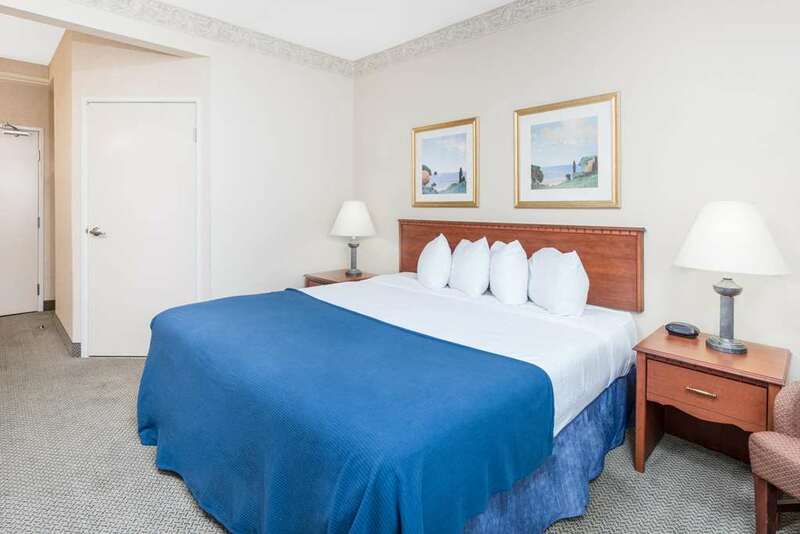 Enjoy the southern hospitality at this Baymont Inn and Suites Ft. Leonard/Saint Robert, just off Interstate 44, only 2 miles from Ft. Leonard Wood and close to historic Route 66, Waynesville Aqua Cave, John Mahaffey Military Museums and Roubidoux Springs. Hotel features complimentary wireless Internet and complimentary breakfast, as well as a heated indoor pool, a fitness center and free parking. Business travelers will appreciate the business center, meeting rooms and computer access. There is no charge for kids 17 and under when accompanied by an adult.